Historic Charter Boat Row is located at Key West City Marina at Garrison Bight in Key West, Fl. 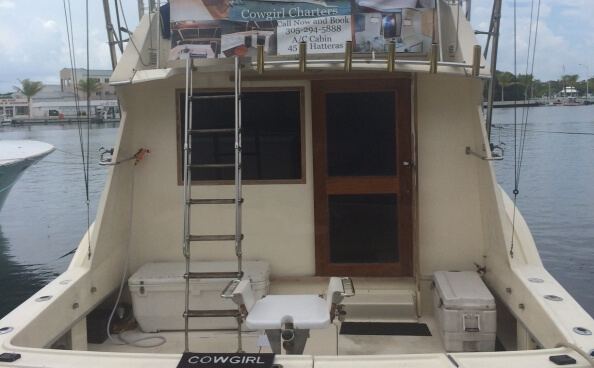 For more than 30 years, men and women charter fishing boat captains have dedicated their lives to the promotion and preservation of sport fishing. Book directly with the our captains and avoid commission fees from “booking agencies” or reservation businesses. 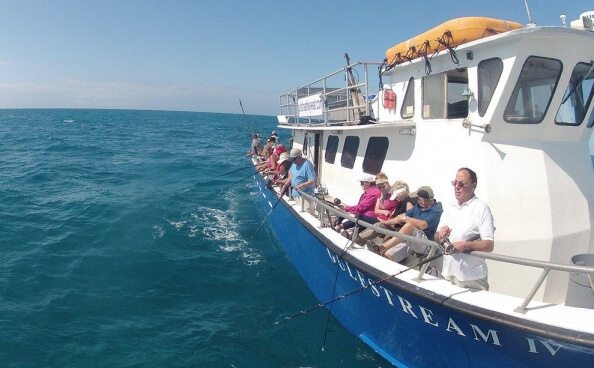 With more than 35 boats to choose from, ranging from 18 foot to 65 foot you can experience the thrill of Key West fishing at its best! Flats guides, or back country fishing charters, target permit, bonefish, tarpon, shark and barracuda. Other fish such as mutton snapper may also be caught on the flats. 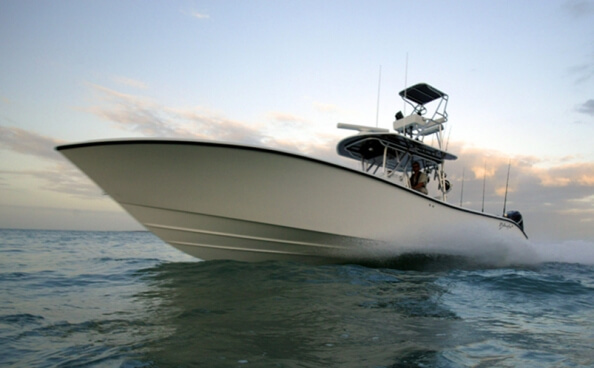 Skiffs – also known as flats or shallow water boats – are limited to 2 anglers per boat and generally fish the back country or inland waters of Key West and the Florida Keys for tarpon, bonefish and permit. 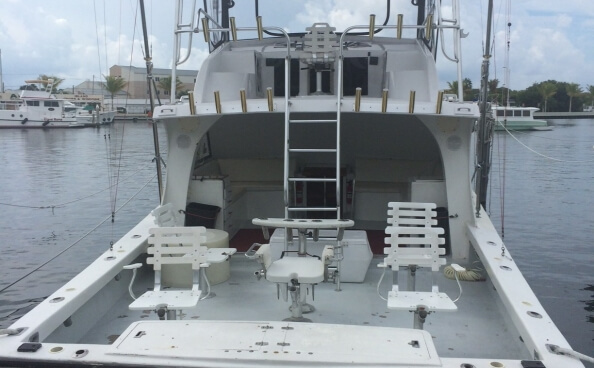 Center Console boats generally fish wrecks for cobia, snappers and other species of fish. 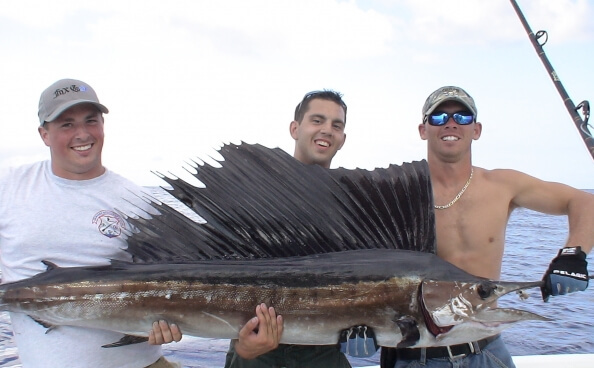 Offshore they live bait and kite fish for sailfish, king mackerel and tunas. They are excellent boats to fish in for tarpon because of their walk around capability. Maximum of 4 anglers per boat. 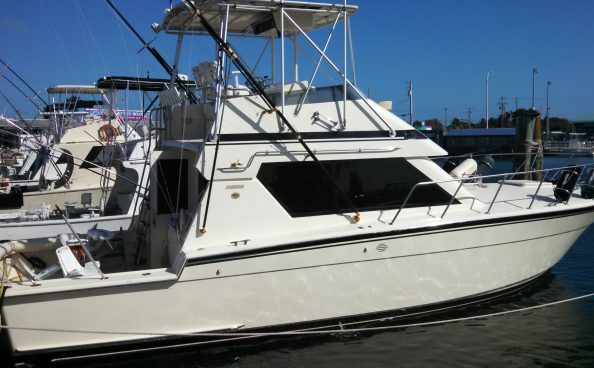 Offshore Sportfishing boats, generally ranging from 34 ft. to 45 ft. can accommodate up to 6 anglers in your party. Trolling for marlin, sailfish, dolphin, wahoo, and tuna can be non stop action when the fishing is good. Some boats also fish the wrecks or live bait with kites. There is only one head boat or party boat, 60ft. long, on the dock that offers a half day trips. They usually hook yellowtail snapper, mutton snapper, and mackerel. Sharks, barracuda and other species of fish are also caught on these boats.